I’m still getting used to WordPress’s format for posting and writing, because I used Blogger for so many years. The goal is to have this be my main blog (I haven’t posted at On A Grahampage since my 30th birthday), but honestly blogging hasn’t been a priority for the last several months. Got too much else going on and all of it is more relevant than this. 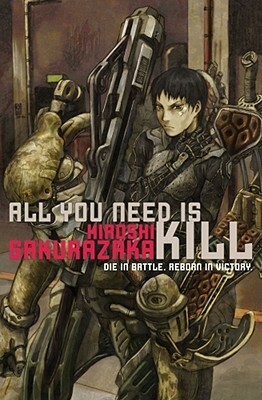 ALL YOU NEED IS KILL (Hiroshi Sakurazaka). Audio version. The Tom Cruise flick Edge of Tomorrow is based on this Japanese light novel. I’ve read some Japanese novels that suffered during their translation to English (looking at you, BATTLE ROYALE) but this wasn’t one of them. The writing was extremely well done, the flow was as smooth as Gatorade on a hot day, the characterization was intriguing and the backstory on the aliens was of great benefit to the reader. Basically the movie got all the bits that looked sensational on screen (not a complaint, that’s what movies are for) plus Bill Paxton as a Kentucky Master Sergeant–executed to perfection. The book, however, explained a lot of things that were left as wide-open gaps in the movie, and had a very different ending. Content warning: let’s call it “realistic military profanity.” Nothing held back. The fight scenes were also graphic. 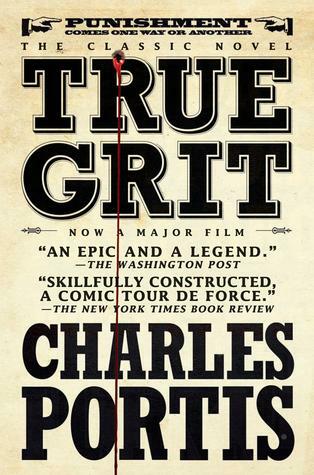 TRUE GRIT (Charles Portis.) Audio version. I might never have read this if not for the film adaptation (2010, Jeff Bridges. Still haven’t seen the John Wayne version.) This transcends the ranks of a genre western and reaches the prosaic level of literature that just happens to be a western. I don’t mean that as a pejorative toward genre fiction (I mean come on), this one is just clearly a cut above its peers, based on tone and the strength of the narrator’s voice. Clever, witty, engrossing, and compelling. With the exception of one single scene in the movie, this book was almost an exact script for the film, right down to the dialogue. 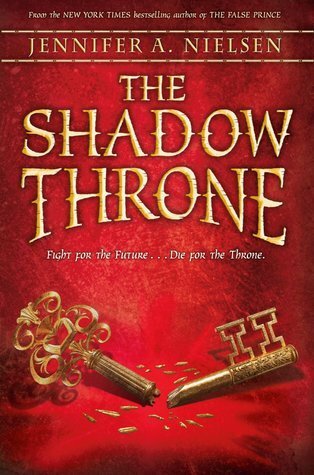 THE SHADOW THRONE (Jennifer Nielsen.) Read in print. I’ve gushed about the Ascendance trilogy before. This is the final book in the series. Nielsen held nothing back. It’s rare that a first book (THE FALSE PRINCE) that is that awesome can deliver follow-up volumes of equal or greater caliber. If this trilogy doesn’t get made into a series of movies, it’ll be a travesty. Plot twists, brilliant characters, unbelievable sleight of hand…all set in a fantasy world without magic or nonhuman races. Just ingenious. 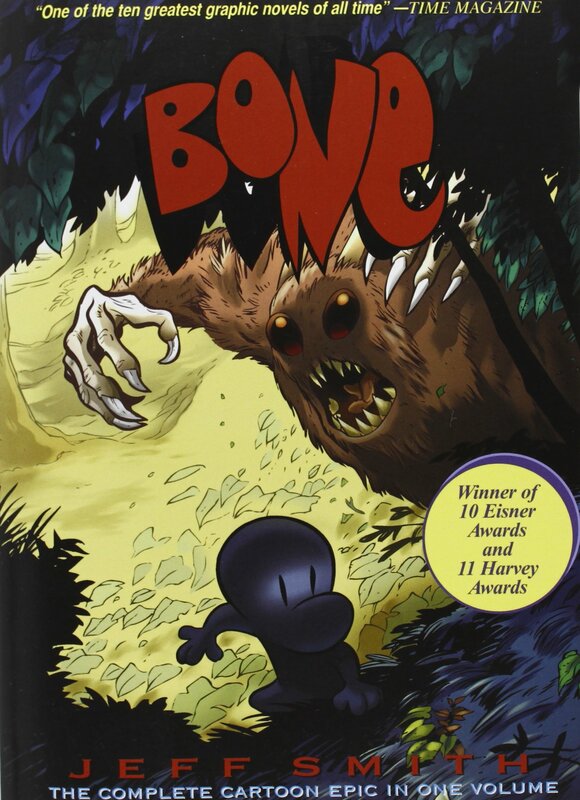 BONE (Jeff Smith.) Read in print. I can’t narrow this down to just one volume, because it’s a huge epic that spans ten books if you’re reading the color versions. (There’s a black and white omnibus out there, but I wanted the real deal.) Best way to describe it? Like a Disney movie that you read, with all the color and heart and humor and gravity and cute critters and funny one-liners and…it just keeps going. All ages, all tastes, I recommend this series. 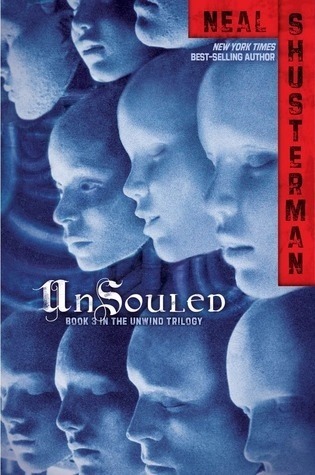 The Unwind dystology–specifically UNSTRUNG, UNSOULED and UNDIVIDED (Neal Shusterman). All read in print. I read the first two books (UNWIND, UNWHOLLY) over the last two years. UNSTRUNG is a digital short that follows one of the characters who fell off-screen in UNWIND, and makes it so that the events of UNWHOLLY and UNSOULED make just a touch more sense. 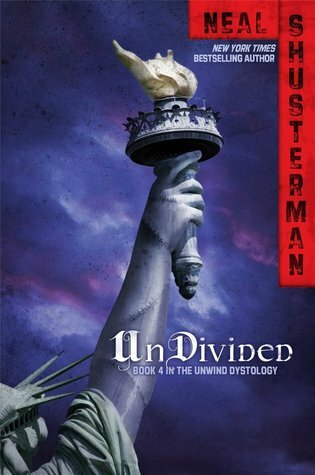 UNDIVIDED really brings it home. Horror, sci-fi, and present-day politics wrapped in a future civil war make this series a timely cautionary tale about numerous things. 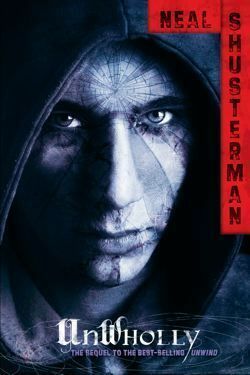 I can’t overstress Shusterman’s talent for dressing up a controversial social issue (abortion) in the garb of a sci-fi novel while keeping his own opinions somewhat clandestine on the matter. He shows all sides while keeping you riveted, desperate to know how it ends. As to the level of awesome it reaches, well, let me say it this way: if there are only three series allowed into The Club, and those three series are Harry Potter, Hunger Games, and Unwind, then you can’t put together a better mix than that. Content warning: Some mildly PG-13 level profanity, a handful of sexual references (mostly in a technical sense), and psychological horror. 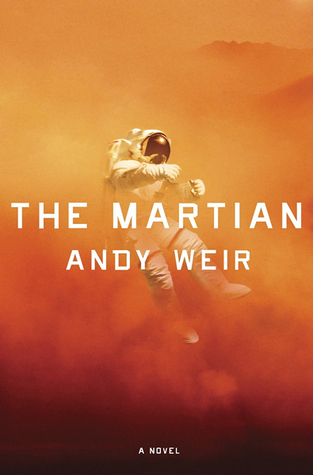 THE MARTIAN (Andy Weir) Read in print. I blogged about this one a few months ago. Genius, genius, genius. Excited for the movie, even with Matt Damon in it. Content warning: ongoing profanity, numerous F-bombs, some sexual references. 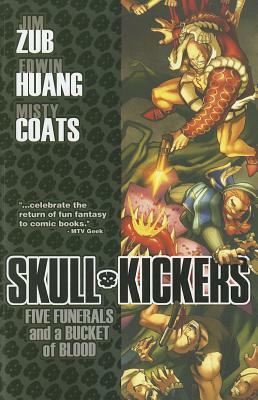 SKULLKICKERS: FIVE FUNERALS AND A BUCKET OF BLOOD. (Jim Zub, Chris Sims, Brian Clevinger). Read in print. A frigging hilarious graphic novel series about two mercenaries who keep getting into all kinds of stupid trouble. The way they set up jokes and knock them down all throughout the story is worth studying. The creators of this series have taken humor, smacked it around, put it in the kitchen and forced it to make sandwiches for them. And humor makes a mean sandwich, I tell you what. So dang funny. Content warning: the depicted violence gets graphic/gory/bloody. 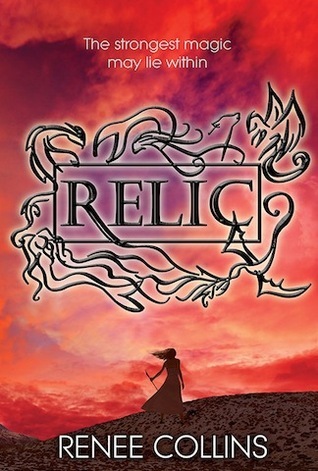 RELIC (Renee Collins) Read in print. Another highly recommended western, with magic, romance, wit, charm, and a compelling magic system that promises even more discovery down the road. I eagerly await the sequel. 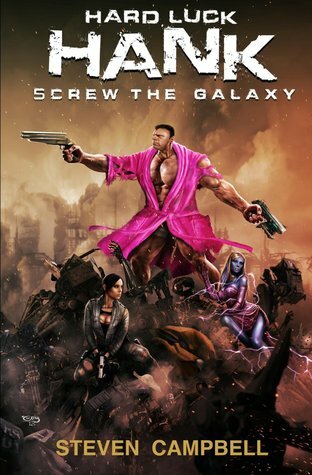 HARD LUCK HANK: SCREW THE GALAXY. (Steven Campbell.) Audio version. Great fun–it’s a sci-fi in the tradition of Star Wars. A big tough indestructible mutant guy on a space station has to fight local mobs, overpowered henchmen, the police force, and the incoming navy…along with an alien invasion. Hilarity and great cleverness ensue. Looking forward to reading BASKETFUL OF CRAP, the sequel. 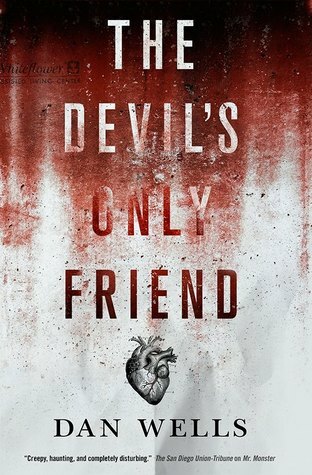 THE DEVIL’S ONLY FRIEND (Dan Wells). Read in print. Wells hasn’t missed a step, I’ll tell you that much. Still plenty of gas left in the tank on his signature series. He not only has plenty of ideas left; he’s not afraid to bring those ideas to a conclusion. At the start of the book, I thought to myself Okay, I see what the next three books will be. By the end, hoo boy…I have no idea what happens next, and yet I have full confidence it will be intelligent and engrossing. 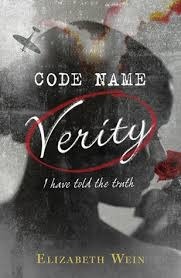 CODE NAME VERITY. (Elizabeth Wein.) Audio version. I could think of a few complaints to register here, but they’re trivial. This is an extremely well-done story, and I think it will satisfy a breadth of readers. Wein, who is herself a pilot, writes about female pilots in WW2, and she manages to include nice details that paint a clear picture of the war and the world at the time, without bogging the reader in a bunch of boring explanations. I also thought it was neat that the two main characters (female) were portrayed like they were normal people, and not just a bunch of airheaded/catty/slutty placeholders like so many female characters in stories. It’s a spy novel first, and a woman’s story second, without carrying anything in the way of a preachy feminist message. I thought it was cool to see that side of the war for once. Content warning: a pair of F-bombs, some other language. Some war violence and prisoner torture scenes.